As someone who’s followed and championed Damon Albarn through all of his many musical journeys—Blur and Gorillaz, of course, but even the Good, the Bad & the Queen and Mali Music—I wasn’t necessarily daunted by the prospect of the leading British auteur of the alt-rock generation setting out to craft the music for an opera based on the lore of John Dee, a 16th Century mathematician, astronomer, occultist and advisor to Queen Elizabeth who some say inspired Shakespeare’s Prospero and Marlowe’s Dr. Faustus. I am, after all, an unrepentant fan of Genesis (up to and including Wind & Wuthering, no less! ), and Albarn did spent his toddler years finger-painting backstage at Soft Machine concerts, with no previous evidence of lasting damage. Progressive-rock pretensions don’t scare either of us. 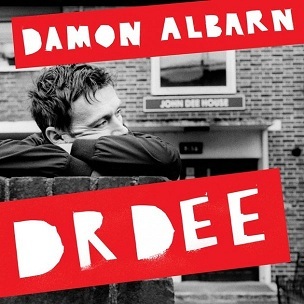 Yet both as a solo Albarn album, which is how it’s being marketed, and as a purely musical experience, which is a necessity when the 18 songs are removed from whatever the heck happened onstage, Dr. Dee is a plodding, ponderous and pretty much joyless mess. Albarn has dabbled with opera before—real opera, none of this rock stuff, thank you very much—and with better results. The Gorillaz-in-another-name effort of Monkey: Journey to the West successfully merged traditional Mandarin sounds with electronic music and many other seemingly incongruous elements. Yet here, the plodding drone of traditional Elizabethan instruments such as viola de gamba, duclian, harmonium, recorder and lute annoyingly conflict with any hint of modernity or other worlds, including the drumming of African percussive wonder and Albarn pal Tony Allen, while on their own or paired with none-too-impressive traditional opera singers, they&apos;re just somnambulant. Alas and alack, we&apos;re closer to the despicable Sting’s 16th Century tribute album Songs from the Labyrinth than the silly but fun chorales of the Mediaeval Baebes. The best Albarn moments are mellow, folkie tracks such as “Apple Carts” and “O Spirit, Animate Us.” They showcase the restless innovator in the quietest, most introspective frame of mind we’ve witnessed since Blur’s 13, channeling Nick Drake on the former and the Canterbury bands on the latter. Removed from this gurgling swamp, they’d make a fine EP. But minor pleasures such as these hardly warrant the effort of slogging through Dr. Dee’s torpid sludge.